Crambe cordifolia' For large gardens it is difficult to beat the imposing spectacle of the Crambe in flower. 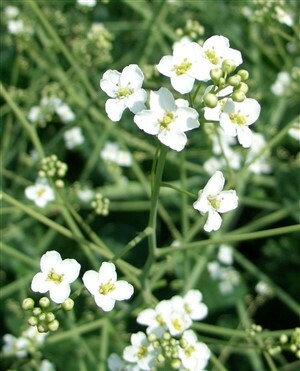 Throwing up a huge cloud (up to 5' round) of thousands of gypsophila-like white starry flowers which are honey scented. Good on rough soil that is well drained and in full sun.